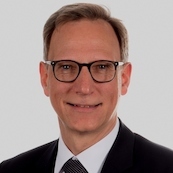 Volkmar is Vice President Energy Consulting of Siemens Power and Gas. He is advising governments and utilities on future energy setup across all power generation technologies to provide affordable, reliable and sustainable energy. A special focus has emerged on sector coupling and Power-to-X technologies, which are considered as important levers to decarbonize economies. Before, Volkmar had various management positions in the power generation business and for strategic development of Asia region. He holds an MSc degree for physics and a PhD in computer science.